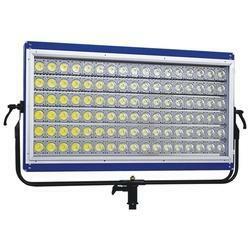 Prominent & Leading Exporter from Mangalore, we offer 1000w led jeet crash test light. Superior Quality 1000W LED JEET Light is a future green light for all the laboratory, automotive crash testing and research applications. Unique and slim pre-treated aluminium extruded housing, designed for IP 66 protection rating. Flicker free light, filming up to 10,000 f.p.s. The power consumption can be saved up to 70% of energy compared with the traditional HMI/Halogen lights. Environmental friendly and free from UV, IR or Mercury. Inbuilt driver and no external ballast required.